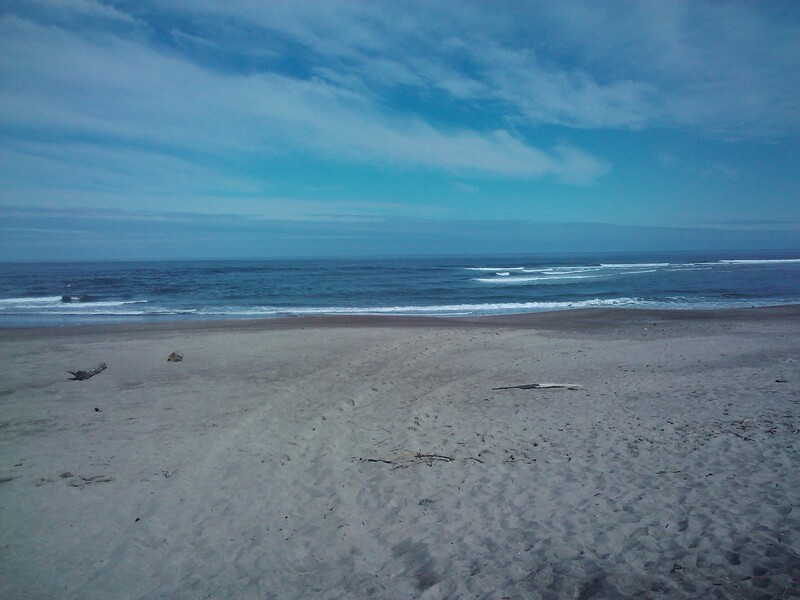 I left Vancouver yesterday morning in the aftermath of the so-called “hockey riot” and came here to Lincoln City. The house my parents have rented overlooks this beach. A very basic house in a spectacular location. The train ride down was awesome and relaxing – renting a car in Portland was simple and the drive out to the coast not a problem. Mostly I was just glad I didn’t have to go into the city and listen to everyone on the bus going on about the stupidity of the night before. Though I do think perhaps the US Customs Agents were nicer than normal because they seemed really sorry for us. I haven’t much to say about any of this except I really am glad to be on vacation and feeling burnt out by Vancouver at the moment. And I’m glad that East Vancouver is my home and not the target of assholes from all over, and that besides the smoke in the sky Wednesday night we didn’t see a thing of how mindless our city can be. Oh, and I’m also glad the hockey is over for another year. Really, it’s been way too wound up in Van for a *long* time. ← Going grey (one year later).